One of Argentina's most popular footballers, Carlos Tevez, earned a recall into the national team after a series of impressive performances for Juventus FC this season. The thirty year old striker, Tevez, played his last game for Argentina three years ago in 2011, when in the quarter-finals of Copa America they lost to Uruguay in a penalty shootout. 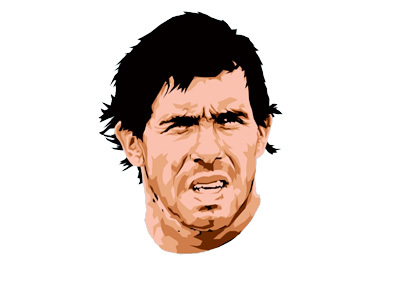 Tevez was the one who missed the crucial spot kick. Alejandro Sabella, who took over the Argentina national team shortly after the defeat to Uruguay and led them to the finals of the 2014 FIFA World Cup, never called up Tevez into his squad. The newly appointed Albiceleste coach, Gerardo 'Tata' Martino, named Tevez earlier today in the squad that will face Croatia and Portugal in friendlies next month. Carlos Tevez has scored eight goals in ten games for Juventus so far this season. Maybe this time around El Apache will finally form a constructive partnership with Lionel Messi. Carlos Tevez was raised in Ejército de Los Andes, which is a settlement for the poor near Buenos Aires. He has a distinct burn scar that runs from his ear all the way down to his chest. When offered to have it cosmetically improved by his club Boca Juniors back in 2001, he refused, stating that the scars were a part of who he was and who he is today.